Dazzling sixth solo album from a great Australian percussionist. 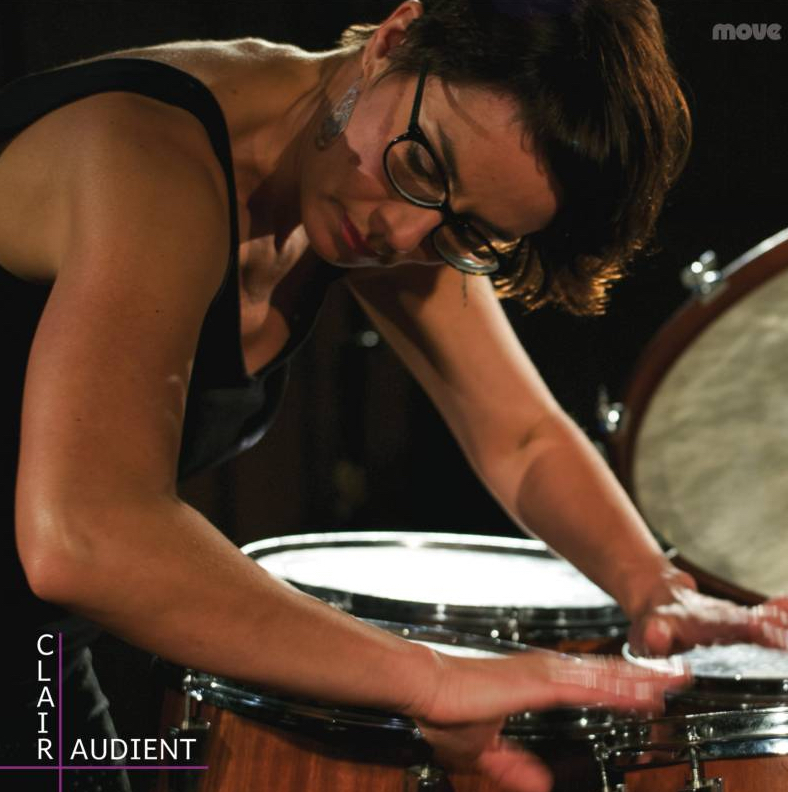 Claire Edwardes has forged a formidable international career as a virtuoso percussionist. She is also Artistic Director of Ensemble Offspring, and both are committed to the performance of ‘music of our time.’ This sixth solo album, Clairaudient, feaures almost entirely 21st-century percussion works: the exception is her arrangement of Steve Reich’s Vermont Counterpoint (1982), reconfigured here for vibraphone and xylophone. In addition to the obvious pun, this album is named for the ability to hear sounds from the spirit world that are not audible to the human ear. It’s appropriate, as much of this extraordinary recording is quite otherworldly. Since many of the works were written specifically for Edwardes, she was able to work closely with the composers, making the collaborative process that engendered these works even more intimate and personal. Time Alone, by Damien Ricketson is particularly entrancing, shifting and shimmering through a textural landscape of echoes and overtones. Five works by Australian composer Melody Eötvös utilise electronics, poetry and unusual instrumentation to riveting effect. It’s also immediately apparent from the first bars of Nostalgia by Vincent Ho that this album has been beautifully recorded, the vibraphone’s tones languidly glistening in space. This thoughtfully conceived collection is expertly performed and brilliantly realised with a subtlety that will repay repeated listenings. The “sorceress of percussion” enchants a capacity crowd in a concert of Australian music. The composer takes us inside her new work, which is inspired by four Michael Leunig prayers and soon to premiere in Sydney and the US. How serious new music is fusing classical and contemporary. How Mozart, Ravel and Liszt really died. Is West Side Story more relevant than ever? A dancer and a percussionist collaborate in an unusual duo, but the work still has more room to move. The dazzlingly versatile musician has died at the age of 89. Successful applicants include the Australian Music Centre, Four Winds Festival, and the Sydney Conservatorium's Composing Women line-up for 2018/19. Professor Cat Hope examines gender equality and empowerment in Australian music culture in this year's Peggy Glanville-Hicks Address. Callum Watson will spend a week composing for a leading ensemble for new music. This new, immersive work by the adventurous ensemble has been fashioned from hours of field recordings, and requires custom instruments and an inflatable performance space. Did you hear about the dirty doings of Jan Ladislav Dussek? Constantly on the run, “Le Beau Visage” got into more amorous scrapes than Casanova. A concert all the more interesting for its elements of surprise. Claire Edwardes unveils James MacMillan's latest percussion concerto and David Robertson gives us a cracker of a Beethoven 7. Eight soloists explore musical forces unleashed by Stravinsky. A beautifully shaped program from Ensemble Offspring, showcasing three brand new works and a spectral classic. From Bach and Lieder to world premieres and tango, the AFCM's opening weekend delivers fresh, exciting programmes full of contrast and elan, writes Jessica Duchen. Amy Beach left a legacy of hugely accomplished works, but, asks Anthony Burton, did the social conventions of the era in which she was living stifle her true potential?